Secret Lab Chair Throne 2018 Review - Worth Buying Check Here ? SecretLab has been kind of an industry revolutionizer when it comes to gaming chairs and you see them everywhere. They’ve recently revitalized one of their first original releases, the Throne. The Secret Lab Chair Throne is a new version of one of the first chairs they ever did. This was one of the first models ever released and even the first model was made with high ergonomic standards and comfort in mind. They’ve done a lot of revamping and made sure that the newer model is up to current standards today. From SecretLab, a company that’s no stranger to gaming chairs, comes the Throne 2018. This iteration of the chair keeps all the original elements in tact but improves on a lot of different features and functions. The quality remains the same and unvarnished but there’s a lot of new and improved features to go around as well. Thanks for helping me find my love of Secretlab again. This is one of the best chairs I’ve ever used and I’ve bought some expensive chairs before. I’ll never use another company’s gaming chair again so long as this chair holds up. It’s extremely comfortable, far more than any other Secretlab chair I’ve ever used and I’m really glad I got this when I did. I fell for the hype and I’m pretty glad that I did because this chair has surpassed my expectations for what it can do as a gaming chair. I use this chair for pretty much anything now, even movie nights where I will roll my chair out to the living room and sit in this rather than the couch. Much like the first iteration of the Secret Lab throne Chair, this chair was built specifically for comfort by people who wanted you to be comfortable. 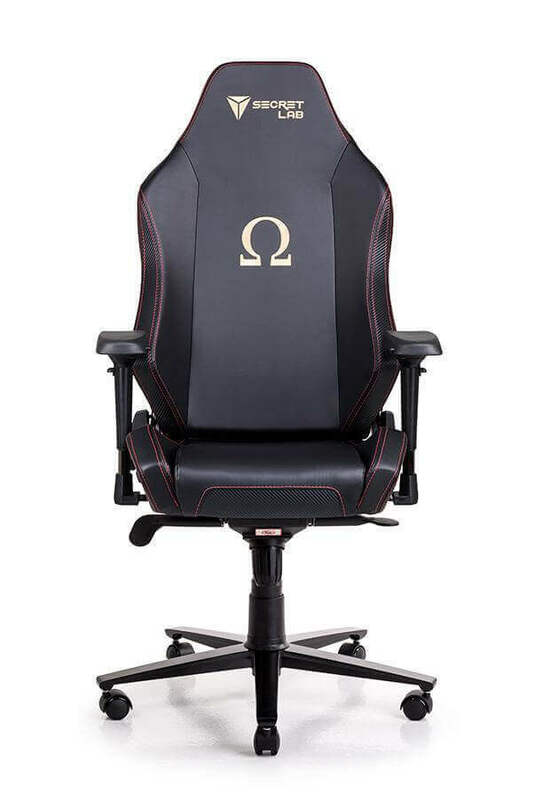 The company was founded by gamers and they make chair specifically for gamers. Also, this version of the chair focuses a lot on improving blood flow throughout the body because healthy circulation reduces the chance of blood clots which can be very dangerous and the risk of getting them is increased when you’re in a seated position for prolonged periods of time. The lumbar support pillow and headrest are both contoured specifically to put your lower back and neck in the best position to align your spine. 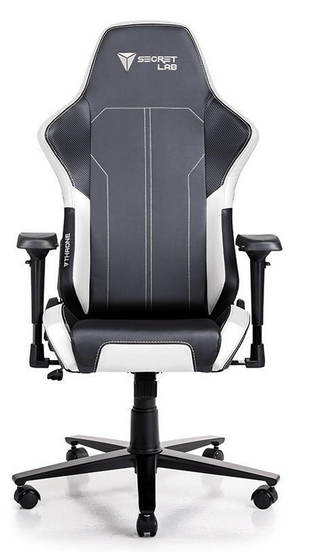 Not only will this keep your back healthy, but it reduces body fatigue so you can sit for longer and be more productive when working or gaming. The armrests are padded and comfortable reducing the risk of fatigue in your hands and wrists. They are also 4 dimensional and can be adjusted up or down, tilted at any angle, folded up and out of the way or extended away from your body in case you need more room in the seat. 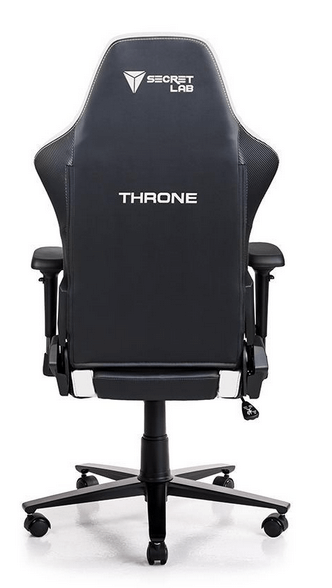 If you’re looking to get the Throne 2018, then you need to make sure that’s exactly what you’re getting because there’s a lot of imitators out there trying to sell scuffed versions of the Throne 2018 but under a different name. SecretLab is the only company who has authorization to sell these chairs, no one else. When you buy this chair, on the day that it arrives, you want to make sure you have about 45 minutes to an hour set aside to put this chair together because it’s not the easiest chair to put together. Thankfully, the instructions included are crystal clear and will help you immensely. Also, you want to keep an eye out on the SecretLab’s website for deals because they always do a lot of limited time deals like free shipping, money off with a code, etc. Keep an eye out for those because they’re never around long. If you want to check the other model review you check here for the secret lab omega 2018 and here for the secret lab Titan 2018. The Secret Lab Throne 2018 is a smaller design than some of their other products they’ve made but how does this chair hold up overall. Does this chair stand up to their other iterations and product line? How does it hold up to other gaming chairs on the market? With a solid 10 out of 10 from our experience. This chair is smooth, it’s extremely comfortable, it doesn’t make any noise, it’s made with solid construction and we can definitely recommend this chair. We’d recommend acting fast because they currently have a same-day delivery deal going on but we don’t know how long that’ll be around. Ficmax Gaming Table Review – Worth The Price?